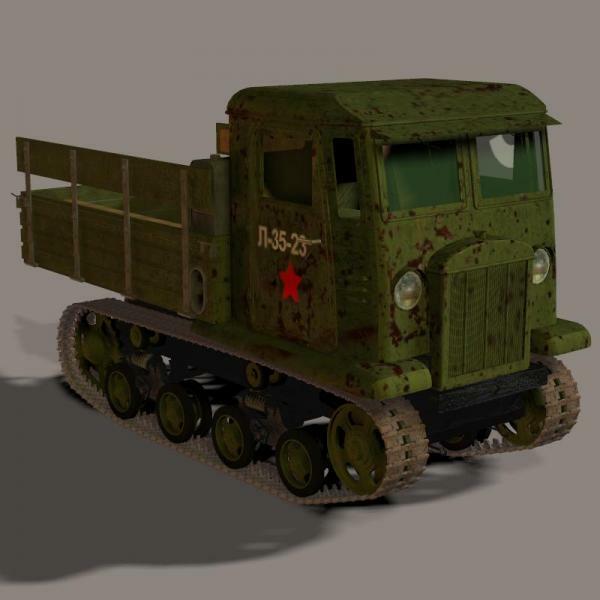 STZ-5 Russian Artillery Tractor "Stalinec"
Thank you for this interesting model.Very impressive. RangerJimK (5 years ago) Inappropriate? Somewhere on line, recently I came across a b/w photo of a column of these beasts which had been commandeered by the German Army. I will try to locate again. dreamdesigner (5 years ago) Inappropriate? Bunyip02 (5 years ago) Inappropriate? Superb model once again, plus a softskin type as well. Many thank-yous !!!!!! Now that's an ugly beast. Thanks very much! Brilliant attention to detail as usual, Looks excellent and superb textures, Thank you, Cheers!!!! Steelrazer (5 years ago) Inappropriate? Thank you for sharing another fantastic model. Excellent craftsmanship and very interesting subject. This will be fun to use! Spike1960 (5 years ago) Inappropriate? Hello,to much time without your models is really hard... this one is very good in did,Thank you and welcome back !!! Hrolf (5 years ago) Inappropriate?